← Market Restaurant in Montclair, NJ: Yum! In families there are planners and there are people who just show up. I love my husband Mike’s sisters and their spouses. I love them because they love to plan, vacations in particular. In my family, I am typically the mover and shaker so spending time with my husband’s family gets me a two-fer: spending time with people I like and not having to plot the when/where of what we actually do. We will spend a week AT the Jersey Shore, not BE the Jersey Shore. Next up for this branch of the family? My sister-in-law Betsy and her husband, Uncle Phil, are scouting houses so we can all spend a week at the Jersey shore together. No. Not that “Jersey Shore.” I can assure you that our family get-together in August will not resemble what happens to the cast of the “Jersey Shore,” well not exactly anyway. I mean, we are a lot tamer as fifty-somethings than we were back in the day. 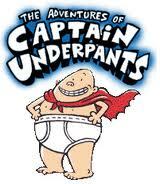 Captain Underpants will likely make an appearance again this summer. Yes. Our family DOES have a Captain Underpants. He will remain nameless. But we won’t be out all night drinking and partying. We will start our evenings with dinner at 7 and likely be tucked into bed by midnight, 1 a.m. at the latest. We have moved beyond this. . .I THINK. Yes, there will be dancing, just probably not on tabletops. Except for our older kids. Yeah. They just might pick up where my husband Mike and his sisters left off. Sounds like a great bunch of fun! I love getting together with a bunch of family for a fun vacation. It’s awesome for the kids too.